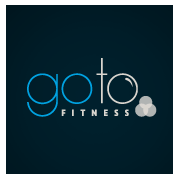 Start taking classes at Gotofitness and other studios! In Group PT, you will get trained individually within the group by a fully qualified personal trainer, working towards reaching your goals which are determined before hand in your free health assessment. There are no upcoming “GoTo Signature” classes on this day. Please bring water and a towel to class! Best class in Sydney - wish I lived closer to it !!! Great class with brilliant instructors, be prepared to sweat! Such a great class - amazing workout. Not intimidating, and adaptable for beginner to expert. Will definitely go again. Great class - Ryan pushes you but everyone at different levels to suit them.